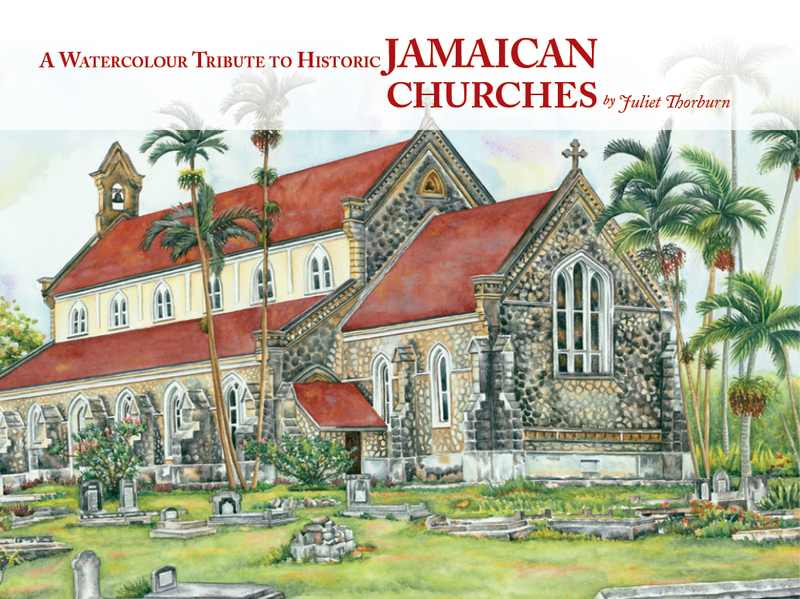 In what is destined to become a “must have” for collectors of Jamaican coffee table books, “A Watercolour Tribute to Historic Jamaican Churches” is Juliet Thorburn’s latest offering from the easel. Page after page, it brings together this artist’s masterful rendering of some of Jamaica’s oldest and most historically interesting buildings, accompanied by impeccably researched text detailing the architectural, cultural, and social background of these magnificent edifices. This exquisite Jamaican coffee table book comprises an unusual combination of components: art, history, sociology and architecture. The result is a visually and intellectually stimulating account of a slice of Jamaica’s rich heritage. Together with accompanying photographs, the 14 watercolor paintings depict churches across Jamaica, while the text conveys each church’s history and character. Replete with stories of love and family, sorrow and triumph, readers will not be able to put the book down. This splendid publication is the perfect addition to one’s coffee-table book collection, especially lovers of Jamaican history and art. 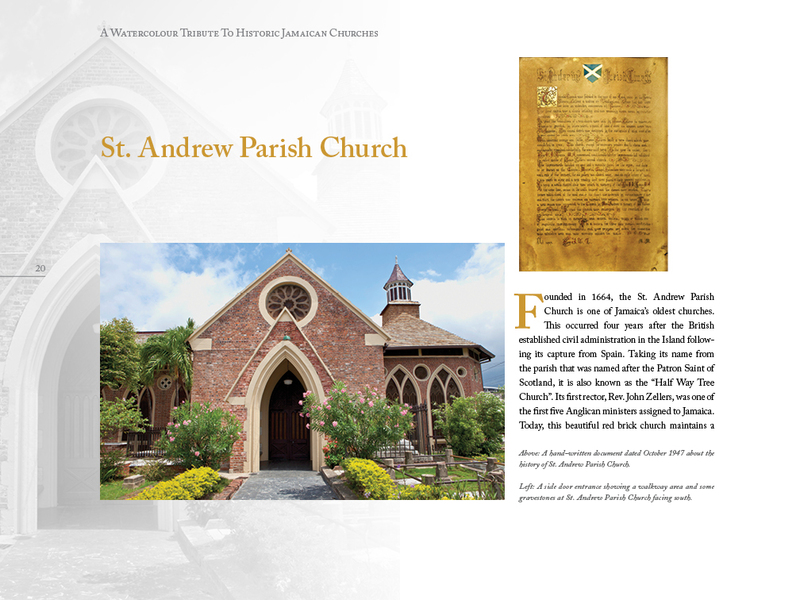 Juliet’s renderings of these notable Anglican churches are beautifully presented and the accompanying text gives an interesting insight to a side of Jamaican history that many are unfamiliar with. 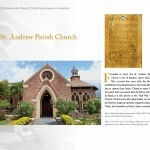 This book is an open invitation to go explore the island and visit these churches in person! 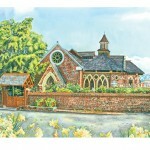 Jamaican-born fine artist Juliet Thorburn recently launched a book entitled “A Watercolour Tribute to Historic Jamaican Churches”. 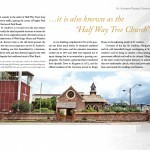 Thorburn, based in Wilmington, Delaware USA offers aficionados of historic Jamaican churches a pictorial into the island’s celebrated churches and the magnificence of their distinctive architecture. The collection of watercolors is shared alongside the historical context that so inspired her. 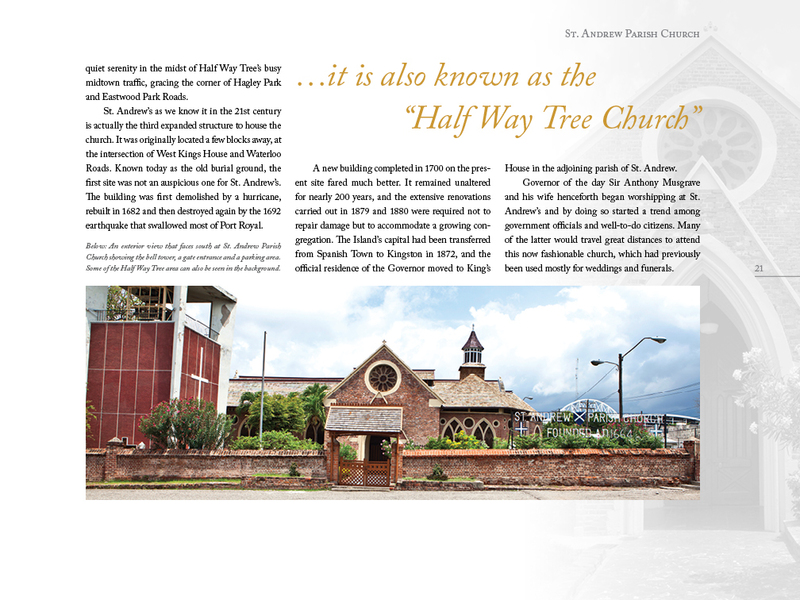 The book published in 2015, includes research text and photographs and brings together this artist’s masterful rendering of some of Jamaica’s oldest and most historically interesting buildings, accompanied by text detailing the architectural, cultural and social background of these magnificent edifices. The result is a visually and intellectually stimulating account of a slice of Jamaica’s rich heritage. 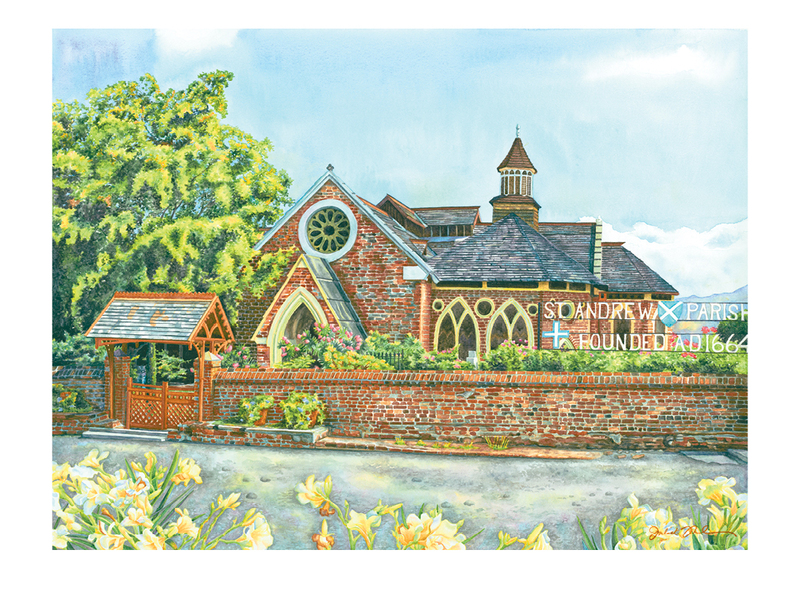 Together with accompanying photographs, the 14 watercolor paintings depict churches across Jamaica, while the text conveys each church’s history and character. The Wilmington-based artist’s strong talent has been nurtured by her studies in Jamaica, the United States and Italy. Masterful and versatile, Juliet imbues each piece with her signature “magical” touch. Many successful shows have been held in Jamaica and abroad, and have had the honour of works repeatedly included in the prestigious Jamaica National Gallery Biennial Exhibition. A beautiful book. Deep in Jamaican history, superb design with exquisite artistry. A must have coffee table book. Just got mine and it is beautiful. 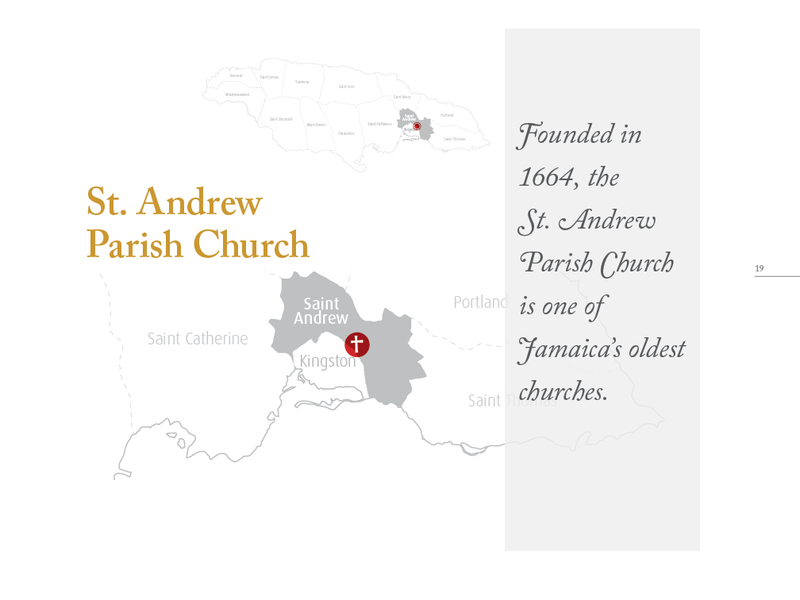 The artwork is amazing and I had no idea that so many wonderful churches existed in Jamaica with so much history. I highly recommend this book to anyone who loves art, history, churches, and amazing hard cover books (excellent for your coffee table).